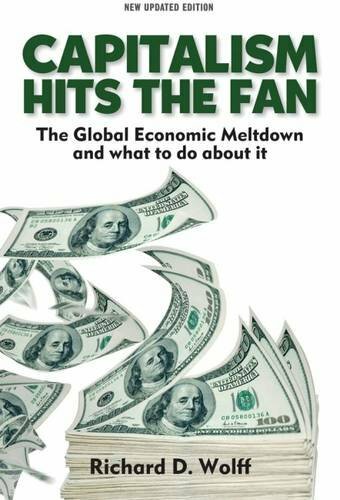 This article is based on the work of Richard Wolff, Professor of Economics Emeritus, University of Massachusetts. As part of his study of economics and capitalist systems Dr. Wolff is proposing a business model that eschews the benefits and pitfalls of a capitalist structure for a more worker centric system. This model is called "Workers' Self Directed Enterprise." The placement of the apostrophe in this title is very important . It denotes that there are multiple workers and that they own the enterprise. This article will compare this business structure to more traditional capitalism. It also discusses how WSDEs can fit into a system that favors capitalist enterprises. First Description: Capitalism was the immediate replacement for feudalism in the Western world. It has existed under many forms of government including the socialist system called communism. As such, it is the dominant economic system in the western hemisphere and, modified slightly, in the eastern hemisphere as well. It is necessary that the forms in the east and west be slightly different. In the west, capitalism is privately owned capital goods which are used to produce products or services at a profit. These profits are distributed to the investors of that capitalist enterprise. This form can be called laissez-faire capitalism though in reality, most of these entities do have some form of government oversight. In the east, state capitalism was the norm where the capital goods are owned and directed by the state and profits are distributed, again by the state, to the people. In reality distribution of profits were often less egalitarian. In essence both the east and west practiced capitalism (the east by necessity to deal with the west) just with different ownership structures. Second Description: A system of production where a mass of people, otherwise known as productive workers, interact with nature to fashion both a means of production and finished products for human consumption. This system produces a total output greater than the portion of that output paid to the productive workers. This wage portion sustains the workforce by providing for their own consumption and insures their continued productive labor. This difference between total output and wages, or surplus, is then distributed to the owners of the enterprise, the investors, or both. This arrangement typically involves a contract with the productive laborers such that work is assigned a portion of the surplus in return for work, The contract also stipulates that the space, raw materials, tools, and equipment belong to the company; not the laborers. Finally, the contract stipulates that any surplus beyond the wages paid to labor, are the property of the capitalist enterprise and that surplus is distributed as the enterprise sees fit. A WSDE (Workers' Self Directed Enterprise) is a company that is owned and operated by the workers. The workers act as the board of directors and as management, as well as the traditional role of workers. A WSDE owns the space, tools, and raw materials; produces the products or services that are sold for profit; and determines the distribution of any surplus over wages or salaries representing "base pay." As such, a WSDE is not a traditional capitalist entity. Because the workers own the enterprise, tools, raw materials, and workspace, they are the capitalist owners. Because they have devoted monies to the purchase of these items they are also the investors. In a WSDE, the workers direct the company and therefore act as the board of directors. As a board, the workers determine what is made, how it is distributed, what the product sells for, and how any surplus is distributed. Finally, because the workers also produce the product or service they fill the traditional role of productive labor. In short, the productive labor becomes the alpha and omega of the enterprise. 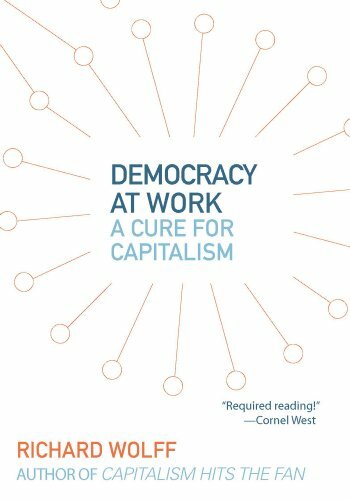 Because traditional capitalist enterprises manage a collection of workers with a much smaller proportion of managers, they are not even remotely democratic. In fact the best definition of traditional capitalism is oligarchy. Workers' Self Directed Enterprise, on the other hand, is entirely democratic. All decisions regarding company production, distribution, sales and profit, and distribution of surpluses are entirely the decision of the productive workers. In essence a WSDE is a direct democracy. In many ways a WSDE is a re-visitation of the guild. Like a guild, a WSDE is composed of skilled laborers who own the raw materials, tools, and knowledge to make products for others' consumption. Like a guild, profits from those labors are split (usually evenly) between the laborers. Because WSDEs are a relatively new business model, they do not have the political and legal advantages of currently accepted forms of capitalism. Truthfully, a WSDE is yet another form of capitalism with all of the control resting with the productive labor/owners. Because Americans business law is designed around more traditional forms of capitalism, WSDEs are at a disadvantage both legally and politically. Also, public education, designed primarily to prepare a workforce to labor for a wage without the benefit of management expertise, is not designed to train a workforce for WSDEs. WSDE principals need to be schooled in market analysis, business planning, and management. These areas of expertise are simply not part of typical public school curriculum. There are also some other issues that come to the fore-front. WSDEs still need a subsidiary labor force. Accountants, book-keepers, appointment setters, sales staff, and cleaning staff are not included in the group of owners and surplus distributors in a WSDE. This group of people might be more properly referred to as "enablers." As such they might be compensated in a similar fashion to the core group of productive workers, but they cannot be involved in the choice of product, price, distribution, or division of surplus. This would create a conflict of interest. As a business model, WSDEs have a lot of attractive attributes. WSDEs insure that productive workers are fairly compensated for their labors. WSDEs will be much more responsive to market forces and buyer demand. Decisions within such an organization can be made much faster as can changes to the production and changes in the marketplace. Productive workers are personally invested in the company and product; this will provide an incentive for better products or services. WSDEs remove the need for labor unions. The laborer owners control the business; no negotiations are required for fair compensation and laborer demands. WSDEs could also negate the need for unemployment compensation. A collection of WSDEs could, by necessity, create an exchange for productive laborers. When a WSDE adopts new technology for improved production a reduction is labor force is likely to occur. There will always be WSDE start-ups needing new laborers and skills. A labor exchange would insure a smooth transition of laborer owners from shrinking enterprises to growing ones. They will also provide an work model for the democratic process; something that traditional forms of capitalism actually discourage. Failure in sales can happen not because salespeople don't use selling systems, as commonly accepted, but because of them. Presented is an alternative: a Non-System. Read this article to know what is Participative Management and how it can be beneficial to an organization.